Wow! 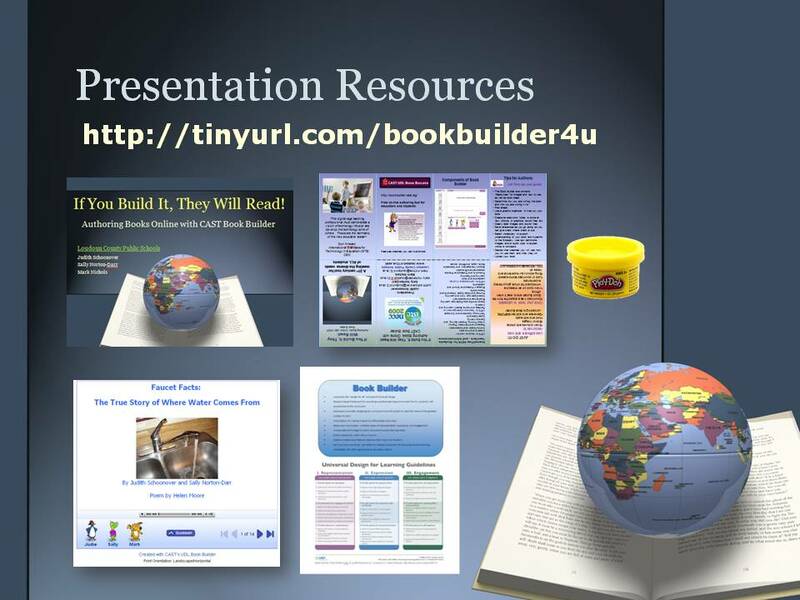 All the support materials for this presentation are available online, including the PowerPoint, the Book Builder books, and the pocketmod, a foldable minibook highlighting Book Builder features. Even the video testimonials shown in the presentation are available through the link above, as well as an overview of the Universal Design for Learning (U D L), and a note-taker page. It is estimated that the best time to capture the attention of ADULTS is within the first 20 minutes of instruction. Good thing we have Playdoh to keep our adult audience members kinesthetically engaged for the full hour!